Leucostoma canker is a devastating disease of Colorado blue, Norway and white spruce and can occasionally be found on other conifers. 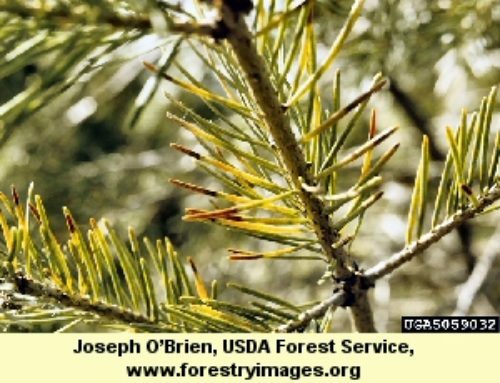 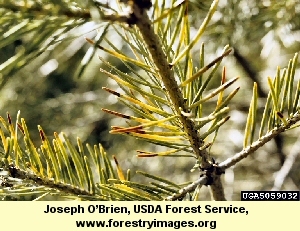 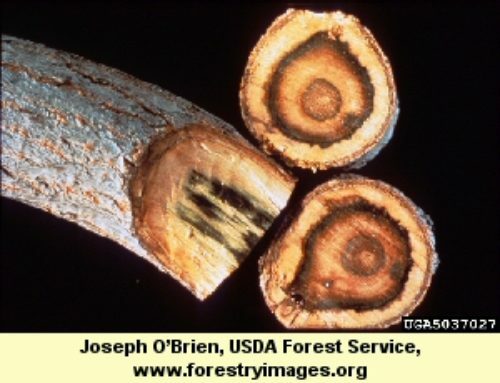 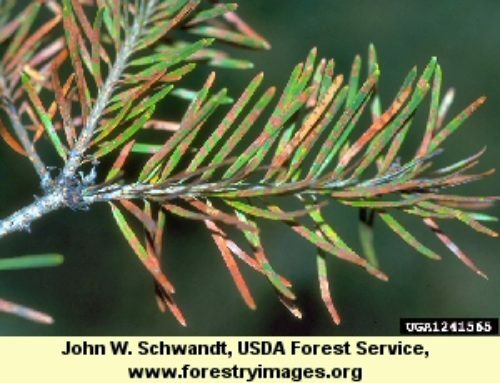 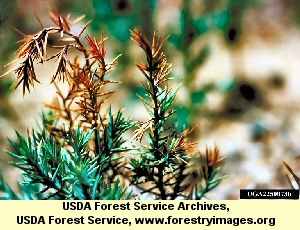 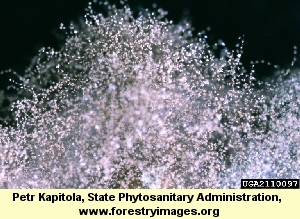 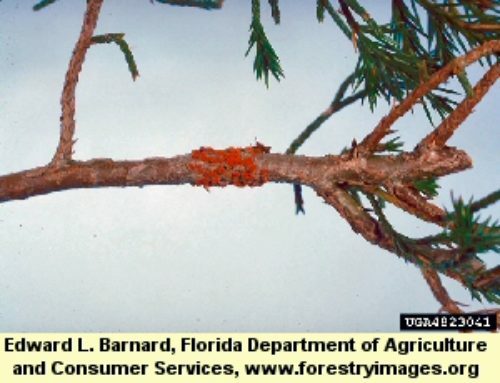 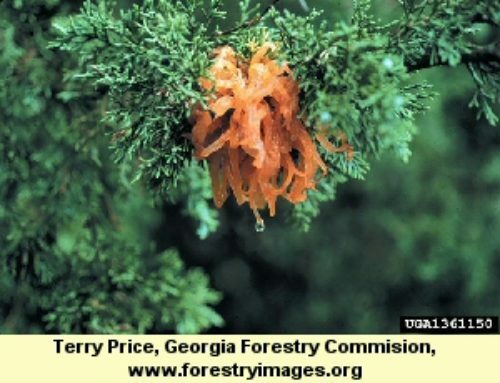 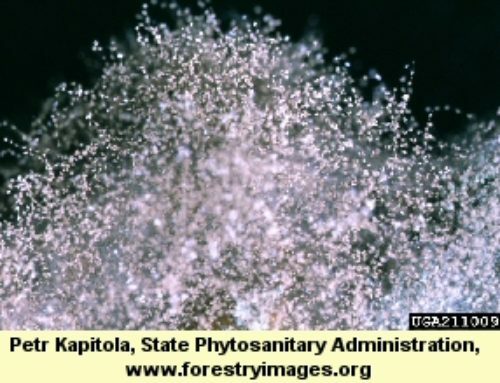 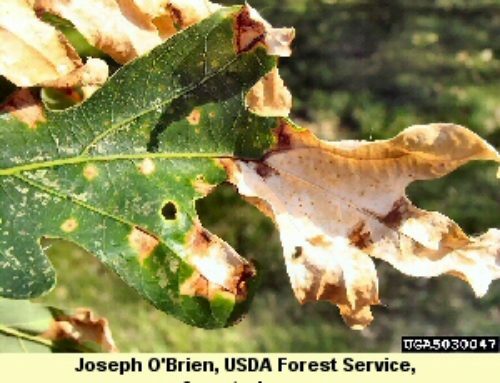 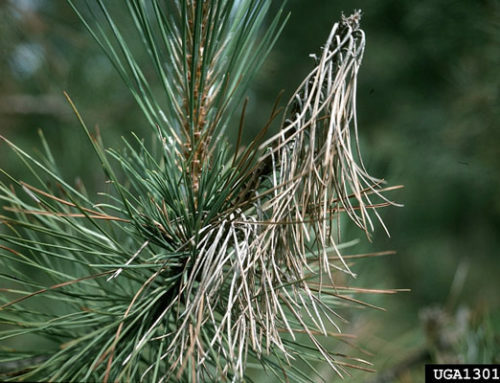 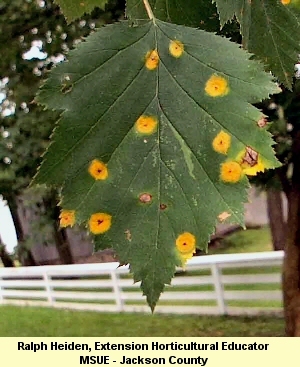 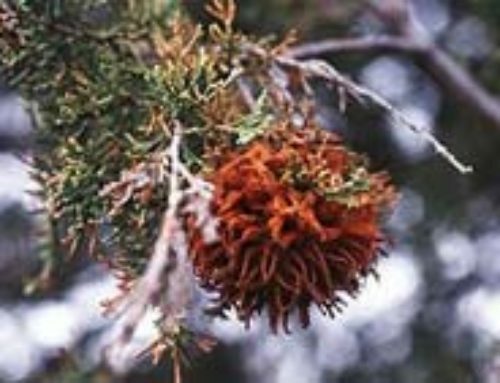 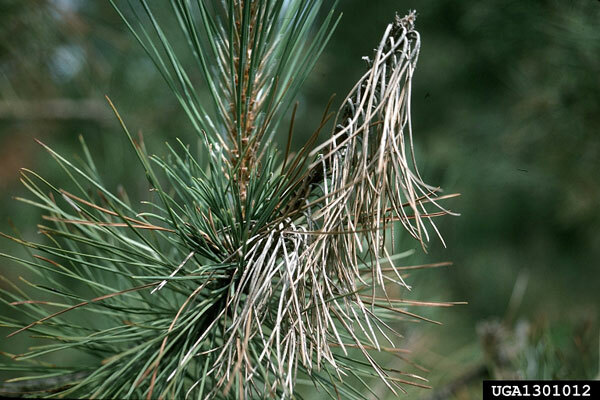 Trees infected with this fungus will generally first exhibit browned needles (sometimes with a pinkish cast) that fall during the first winter. This symptom usually starts at the bottom and then progresses upwards. 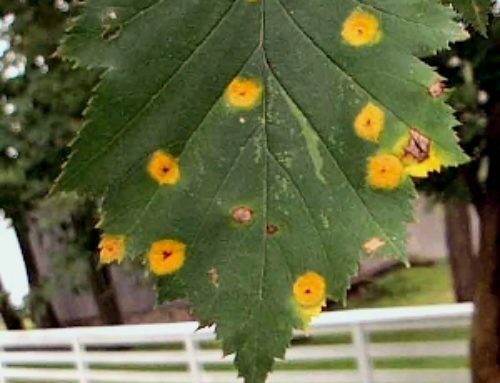 Occasionally upper branches will be infected first, but this is rare. 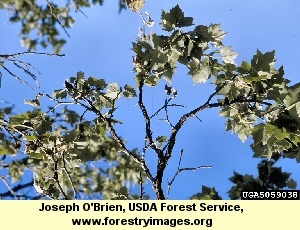 The dry brittle twigs contrast sharply with adjacent branches that are yet unaffected. 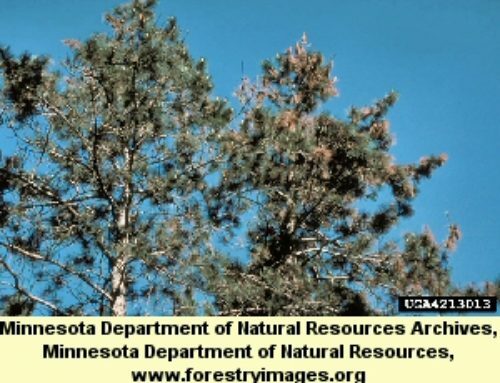 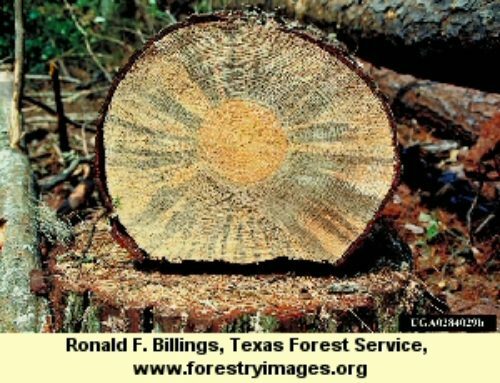 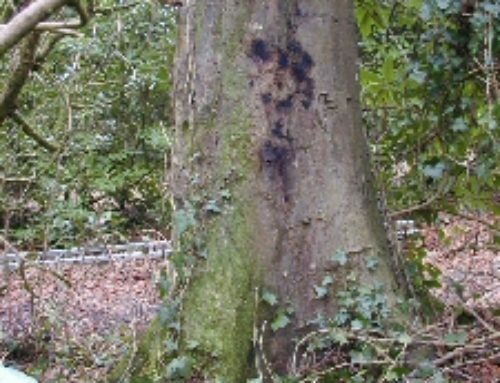 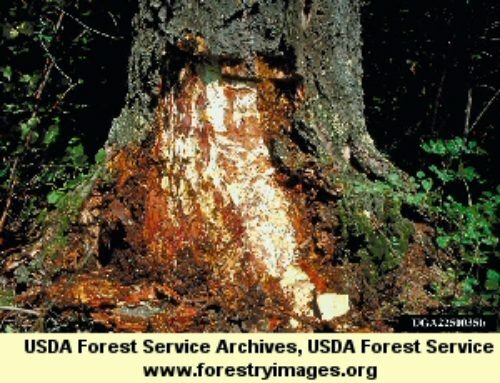 Not all trees with dead lower branches have Leucostoma, so it is important to look at the bark of affected branches and those nearby to see if they have white patches of a resinous or pitch material exuding from them. 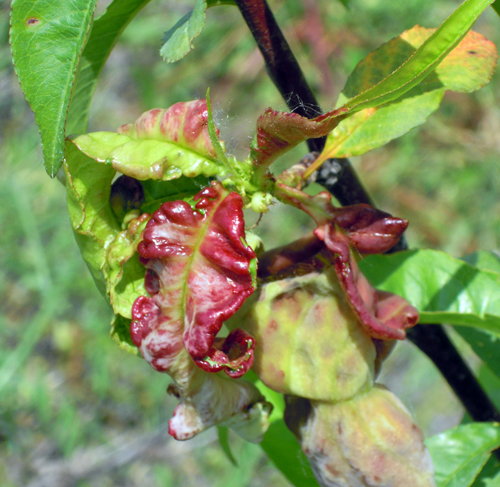 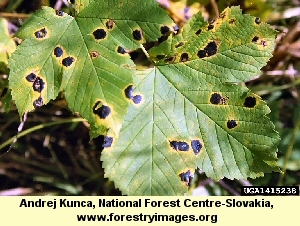 Cankers or sunken areas are usually near these whitish areas but are rather difficult to detect. 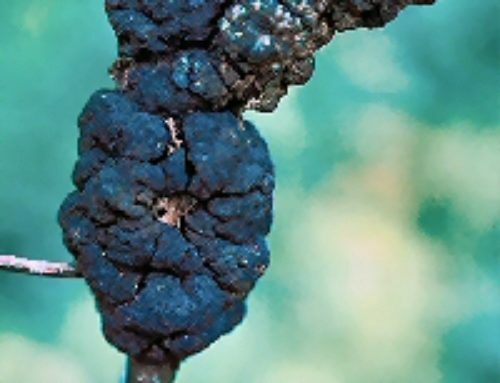 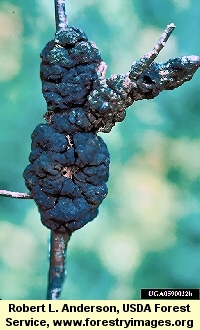 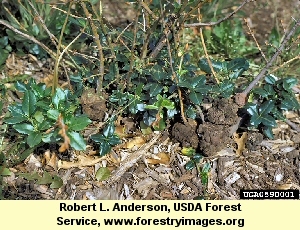 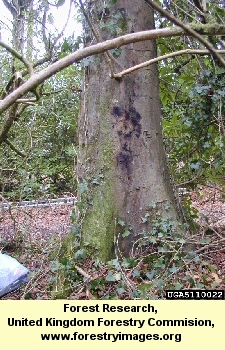 Tiny black pimple-like fruiting bodies are also associated with the cankered areas and serve as a sign of this fungus. 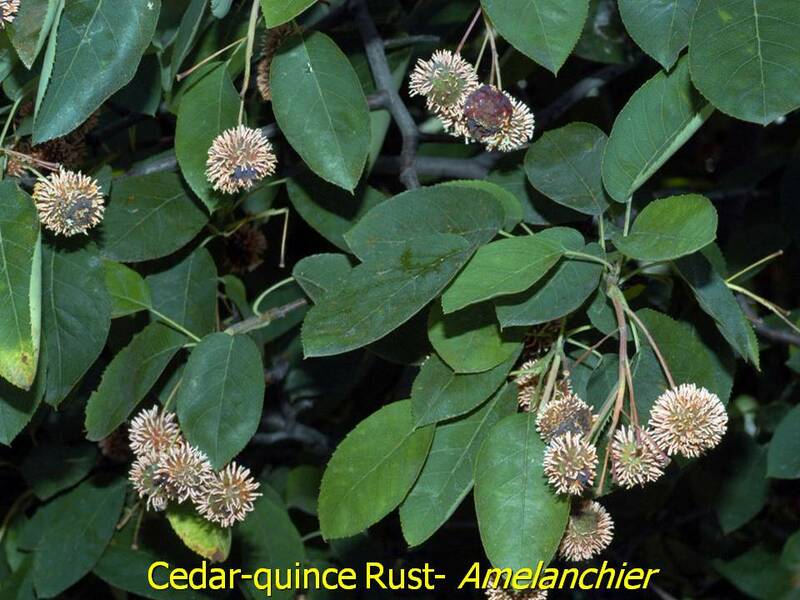 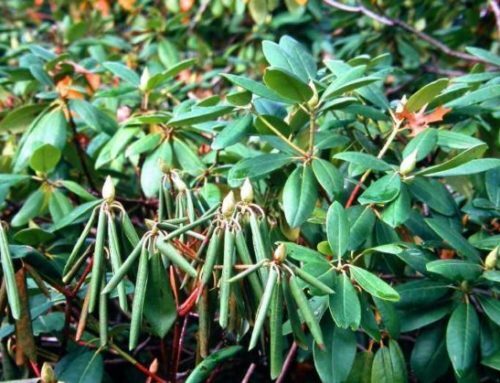 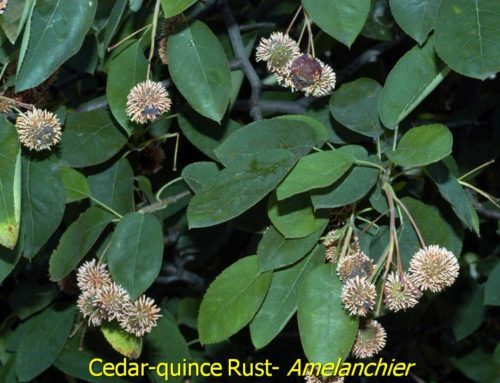 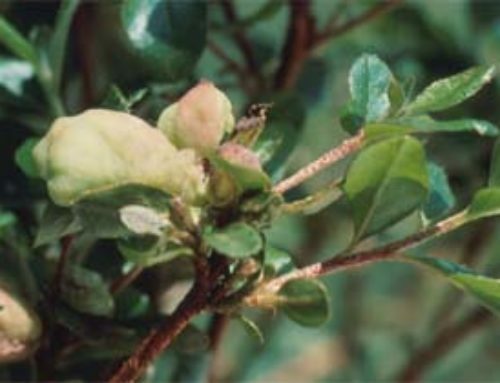 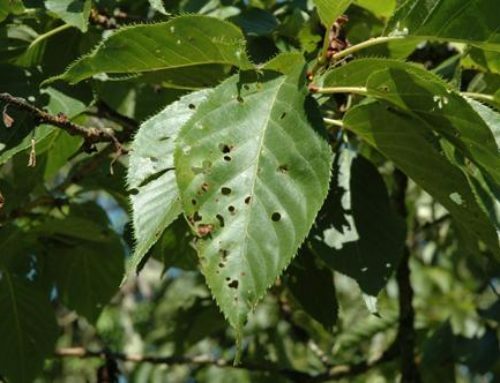 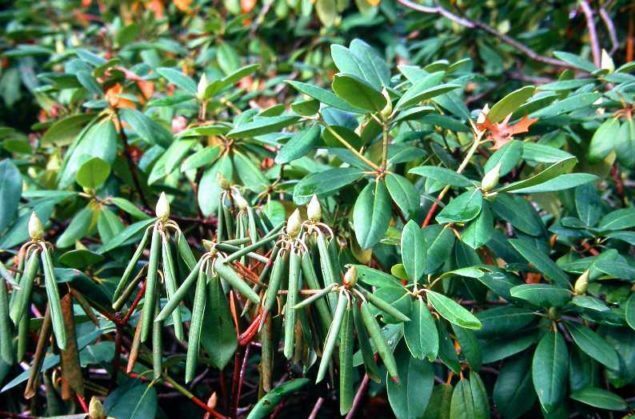 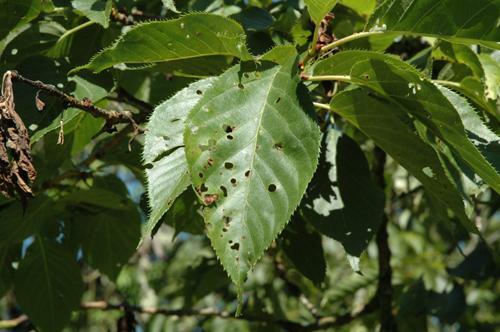 Leucostoma usually attacks mature trees that have been weakened by other factors such as drought, winter stress, insects and mechanical injuries from lawn mowers and nearby construction. 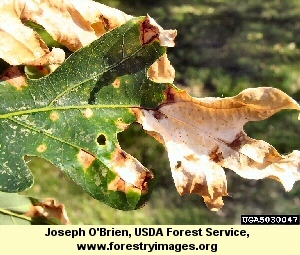 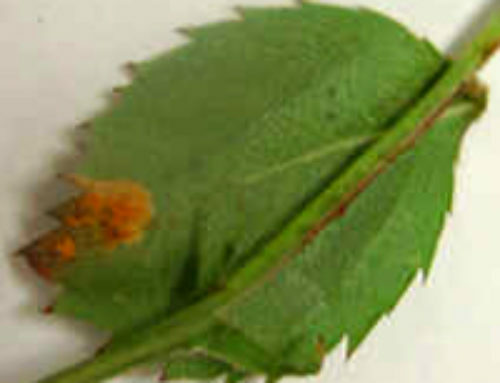 When lower branches touch the ground, even the inadvertent cutting of branch tips (and the resulting wounding) by a lawnmower, can become a point of infection. 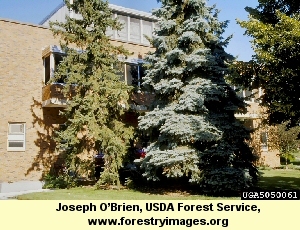 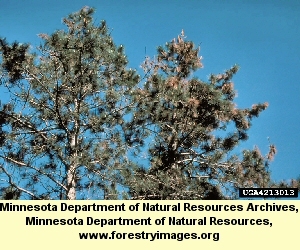 Poor air circulation in and around tight clusters of spruce trees can also aggravate the situation. 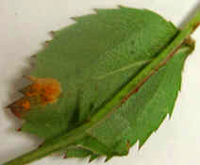 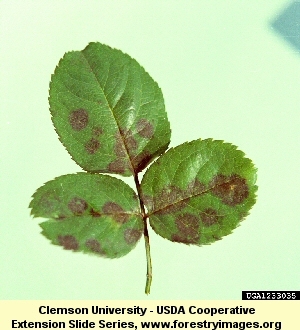 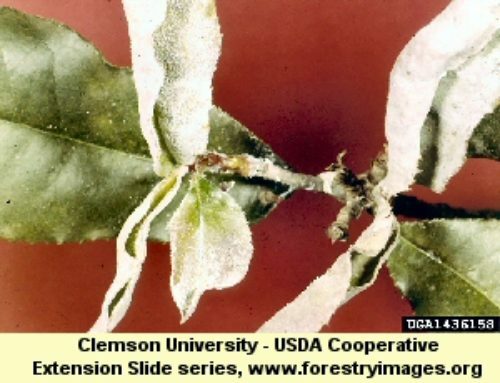 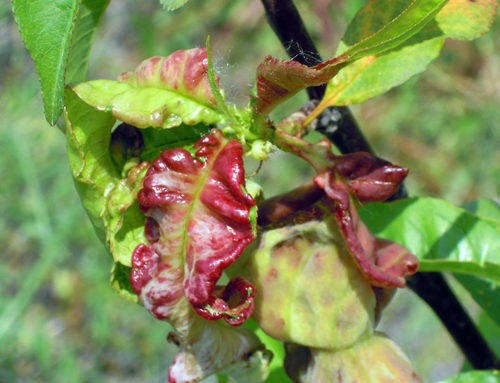 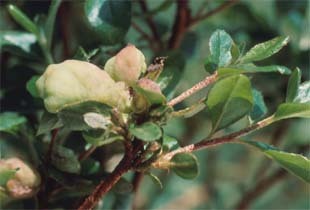 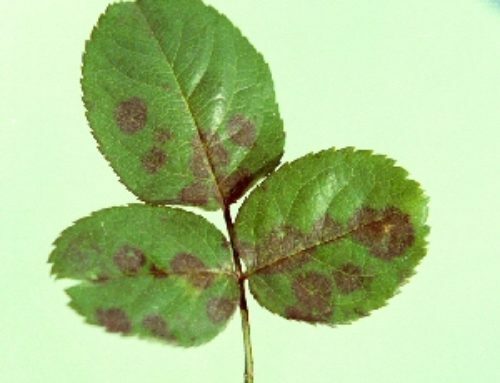 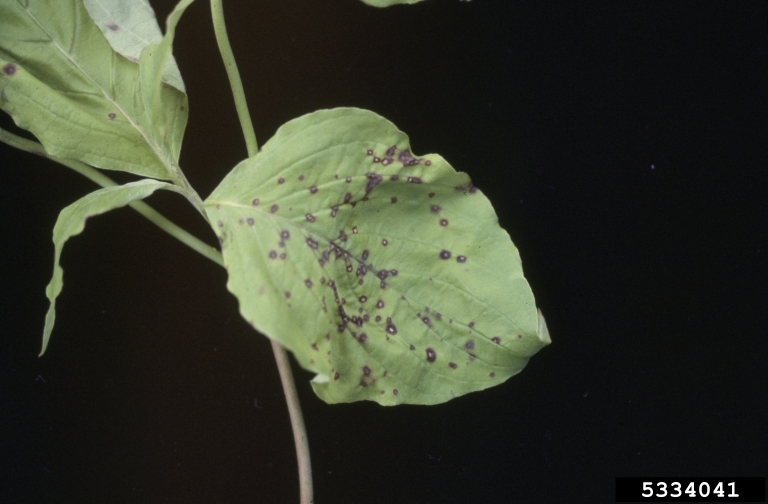 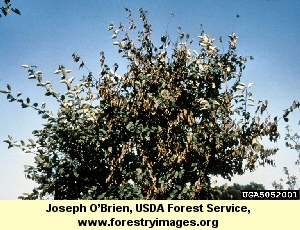 Infected branches should be immediately pruned and discarded. 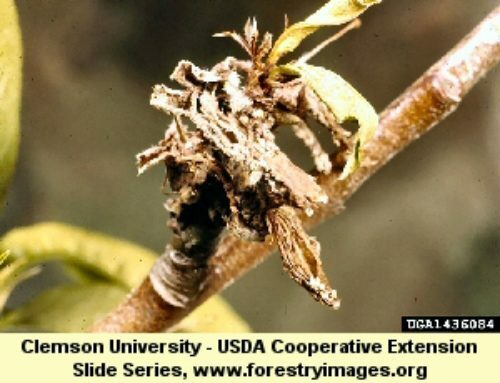 Do not prune when the tree is wet. 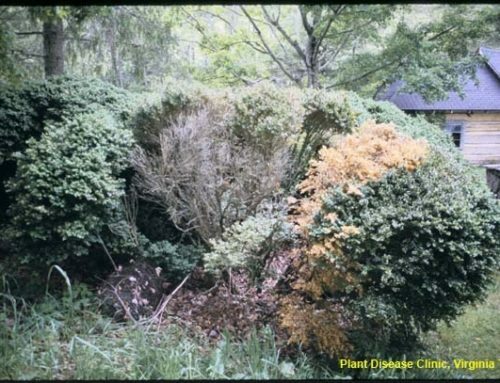 Also disinfect the pruning tools between each cut and after the pruning is completed. 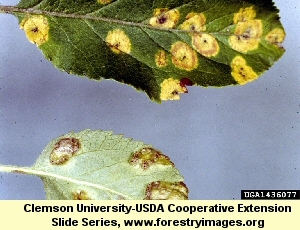 At this time there are no fungicidal recommendations for the control of this disease. 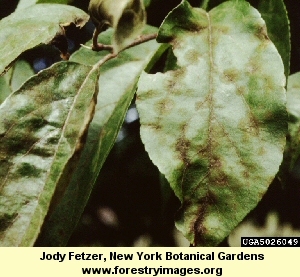 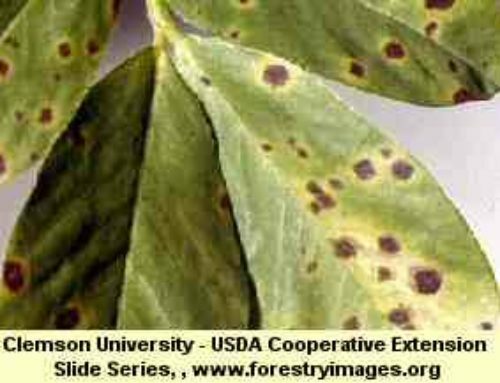 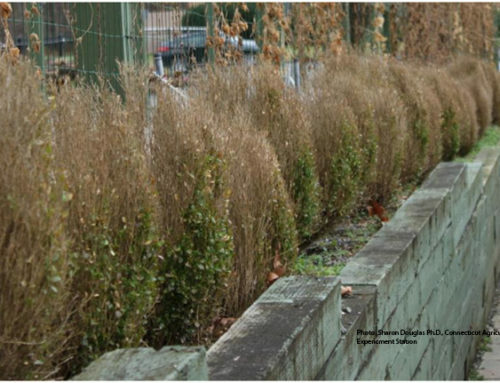 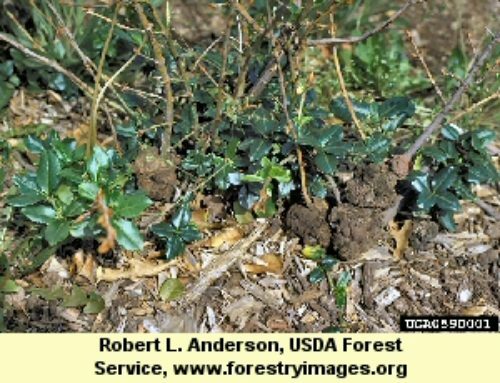 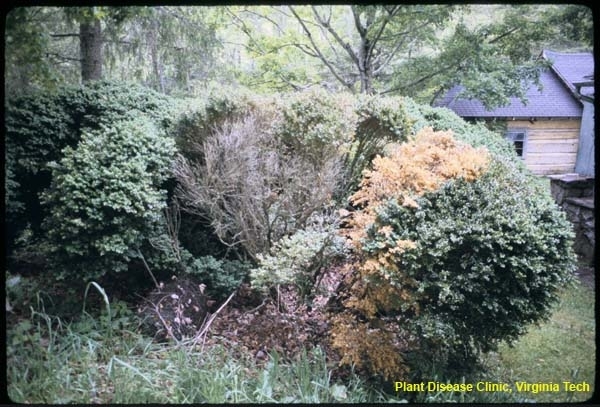 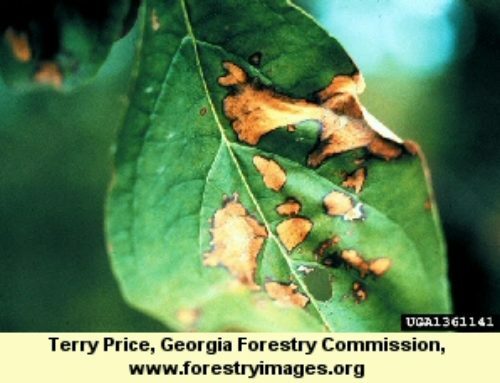 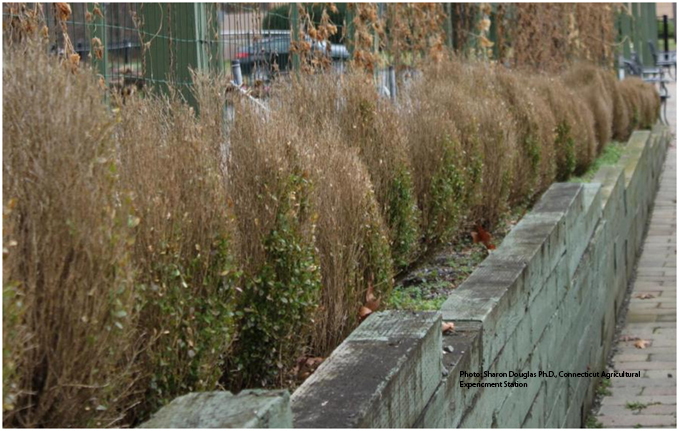 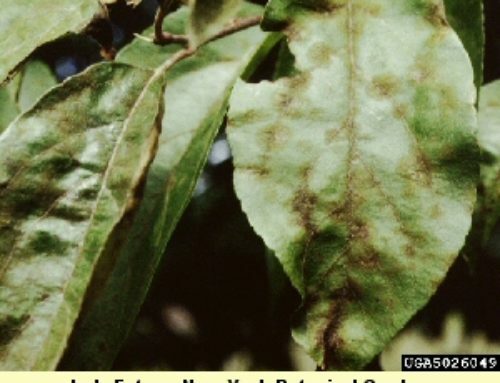 Trees that have been carefully planted and well cared for by proper fertilizing and watering seem to have less incidence of Leucostoma canker. 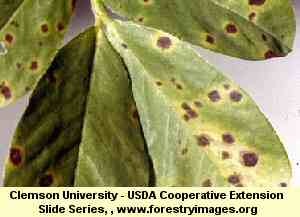 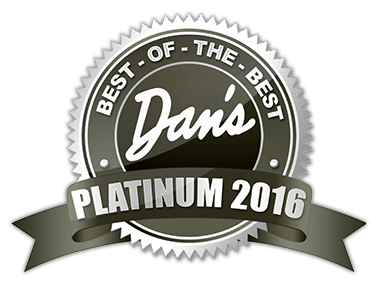 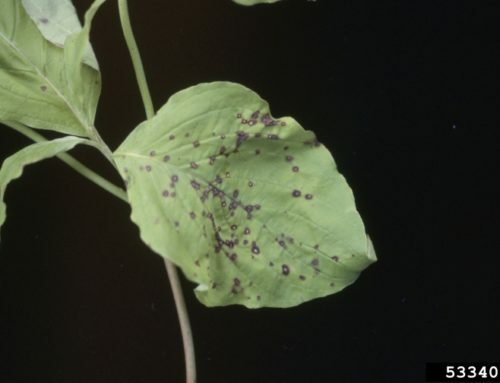 No spray treatments are effective.